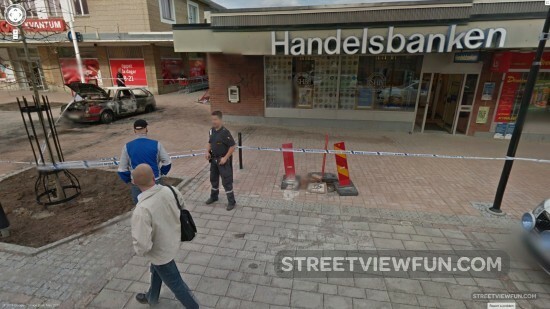 This is outside a swedish bank named Handelsbanken where a robbery just had taken place. The bank robbers fired shots at the police who arrived at the scene and managed to get away. Nobody was injured in the shooting. 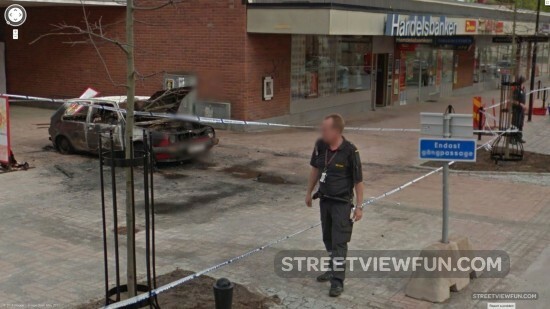 Two years later they got caught and are now in prison for a number of robberies around Sweden.